Meet Red, the vehicle of choice for the Moroccan Rally 2012. A 1963 Ex-Military Land Rover Series 2A SWB, registered for civilian use in 1972 and turning 49 years old for the Moroccan Rally 2012. Red is no stranger to the Sahara, this is Red's 3rd time to the Sahara. 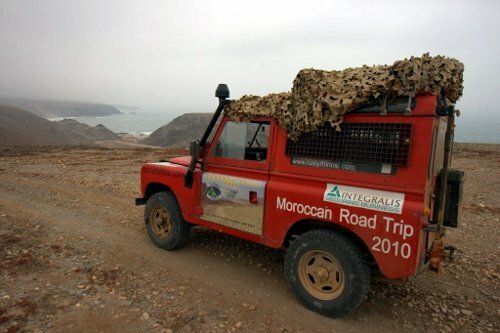 The last time Red was in the Sahara, Red suffered a number of failures, one near fatal for the car took place. A snapped chassis, head gasket failure (resulting in Red running on only 3 cylinders for the majority of the previous road trip), clutch failure, gearbox failure (2nd gear disappeared) and over heating are some of the issues. 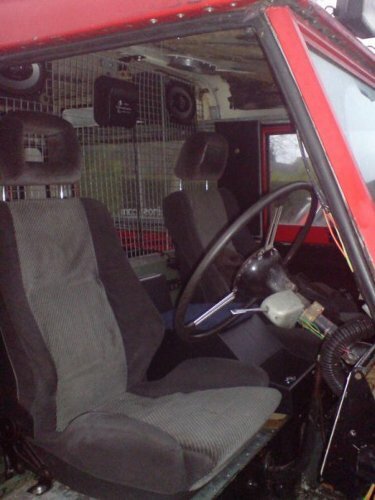 However, Red is a sturdy beast and has recently been fitted with an electronic ignition, rebuilt gearbox, new shock absorbers and an improved braking system. 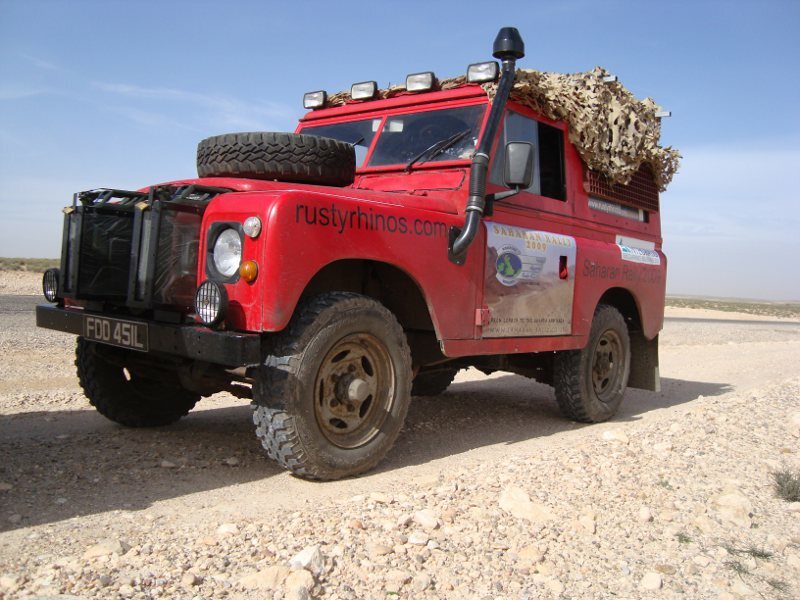 A lot of people have heard of the Rusty Rhinos' adventures across the Sahara. 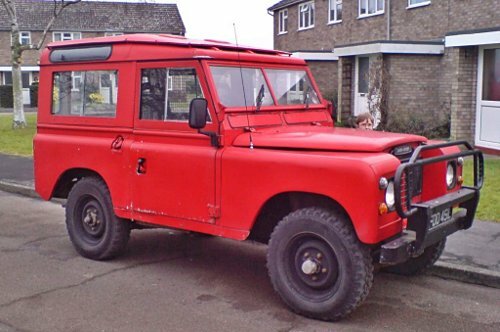 Behind the scenes was a Herculean amount of work that has gone into preparing Red, the nearly-50-year-old Land Rover, for the task. I'm here to tell you all about it! I'm Lewis Collard, and I'm part of the Rusty Rhinos ground crew. My speciality is removing propshafts, mostly because nobody else wants to do it. I also function as a human painting jig, as seen above. What you see here is an actual Coke can, flattened out and glued to the chassis with silicon sealant in an absolutely strength-critical part of the chassis (just in front of one of the rear spring hangers). 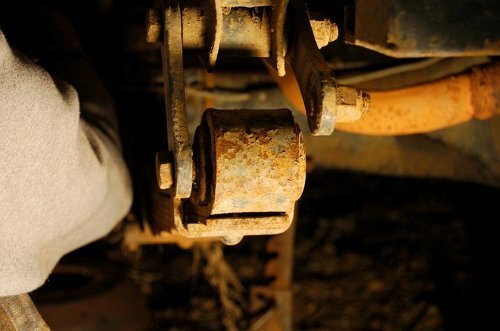 That was an especially egregious example, but we did find plenty of rust, and where there wasn't rust there were awful half-hearted repairs. In the end, we ended up stripping Red right down until it was literally an engine, bulkhead and gearbox sitting on half a chassis. Or, "bet the neighbours love us!" 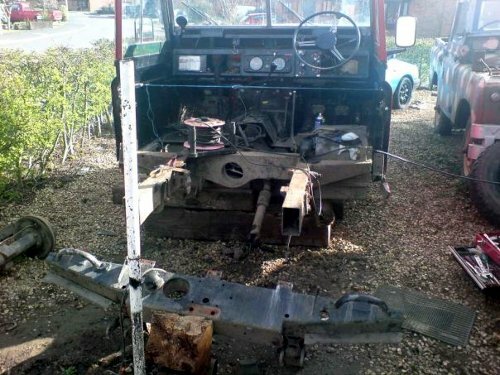 I wouldn't possibly detail all the welding work that had to be done; if you want that, pick up a Land Rover parts catalogue and put ticks next to all of the steel components. In short though, our job for months of weekends was mostly welding, fabrication, welding, and preparation for welding when we weren't busy welding welding welding. 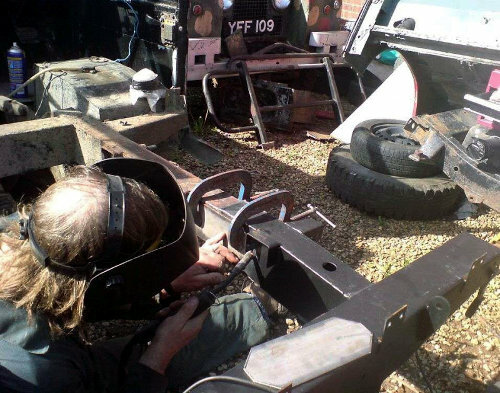 Here he is welding the new rear quarter-chassis in place (the section cut off in the earlier picture). 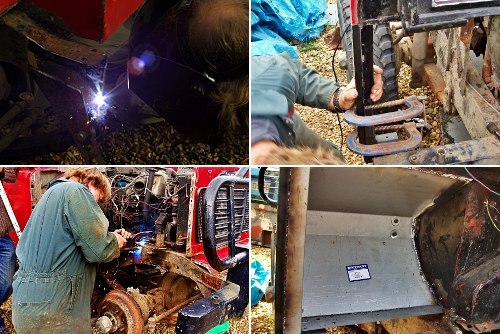 On top of his considerable welding skills, his vast knowledge of Land Rovers has been indispensable in our bringing this once-rotten, half-knackered Land Rover back to life and we certainly could not have done this without him. Thanks, Maurice! 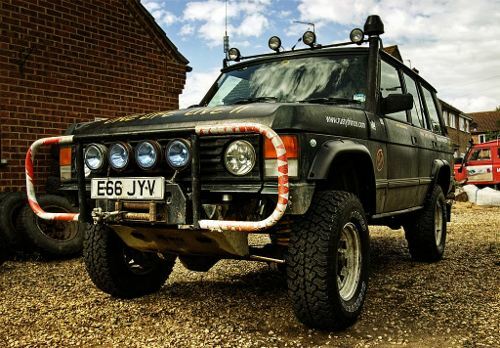 Most people would not consider a nearly-half-century-old Land Rover a suitable vehicle in which to travel across the desert, because it is extremely primitive. We found it a perfect vehicle to prepare for the desert precisely because it is so primitive. Electronic systems, power steering, air conditioning, and other modern conveniences can't go wrong if they did not exist in the first place. 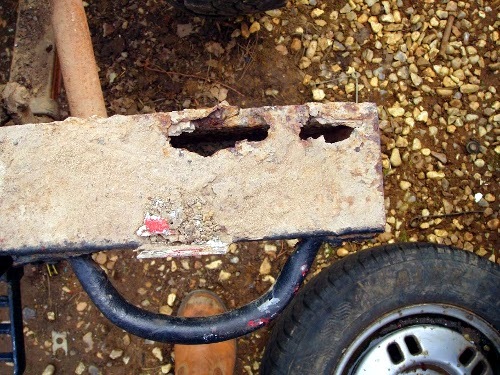 One issue that we came across is that the electrics in the vehicle were there, but huge chunks of it needed replacing; it was a mix of stuff that worked, stuff that didn't, and decades of "that'll do" quick fixes. 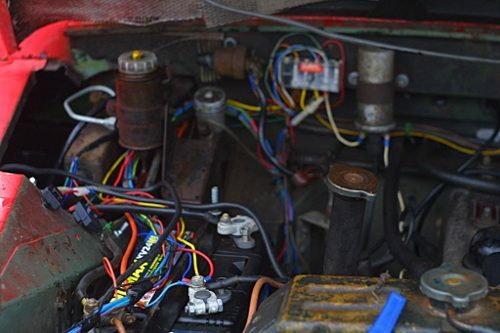 Rather than mess around with trying to isolate the sections of the wiring that didn't work, we solved this problem by ripping out the electrics and re-wiring the entire Land Rover from scratch. 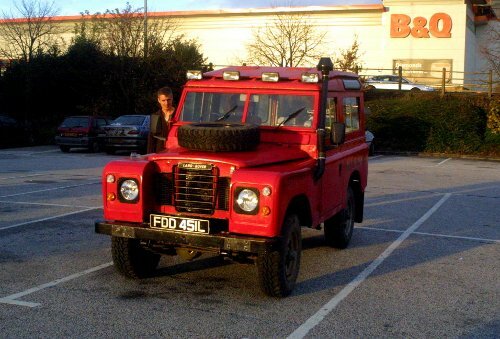 This all ties in with a Herculean amount of work, but of course this would have been a much more enormous job if the Land Rover wasn't such a brilliant, simple vehicle. I doubt that anyone short of a masochistic electrical engineer would dare take on such a project on a modern vehicle for fun. Incidentally, Red has two, very large, batteries: one for the critical systems, and another for less-critical systems like the extra lights. 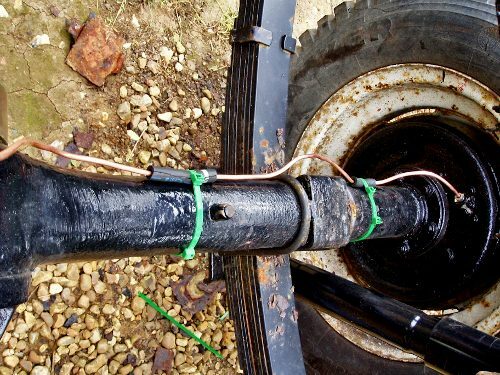 Part of this is so that using those less-critical systems heavily can never render the car unable to start, but a secondary benefit is that there's no need to carry a spare battery: if the battery powering the critical electrical systems fails, then one can swap the leads around and start the car off the auxilliary battery. Both batteries are charged simultaneously with an alternator from a first-generation Range Rover, which more than copes with the extra load. Here's a free lesson that'll save you some time (and possibly losing your no-claims bonus): Never buy aftermarket (pattern) brake parts. We've had horrendous troubles with the braking systems while using non-genuine parts, by which I mean "having no brakes when they're most desperately needed". Given how many times we have replaced said aftermarket parts, we'd have saved money and spared ourselves a few frightening experiences by going for the slightly more expensive genuine components right from the start, which work flawlessly. We learned this lesson the hard way so you don't have to! 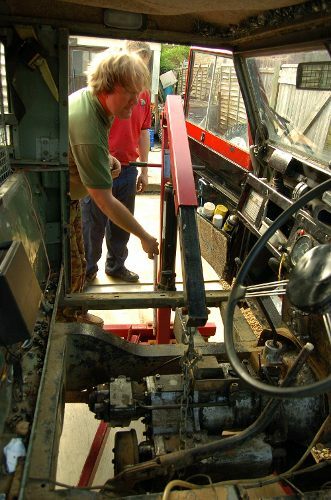 The Red Shed a few minutes after its first MOT in November 2008. All in, to get it in a fit state for its first MOT in the Rusty Rhinos' possession (and a fit state for taking a pounding in the Sahara) took us eleven months. Eleven months is a lot of time; we had plenty of moments in which it felt like it would never be finished, and maybe one or two "let's weigh it in" moments too. 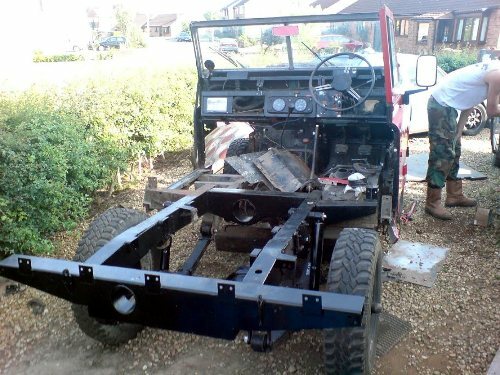 Did I mention that we were rebuilding a second beast from Solihull all the while? 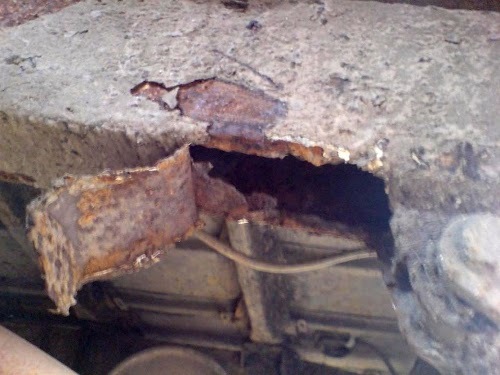 Two trips to the Sahara, in addition to one shortly to come, took a heavy toll on the old Land Rover. The second one literally split it in half (and was hastily patched up in a garage in Morocco), and it has had its share of other less-drastic incidents since. Of course, Red is an ongoing project; among many other things, it has had a rebuilt gearbox, electronic ignition, and new shocks since the last trip. We fully intend to keep it loved and running through its half-century birthday and long past that. 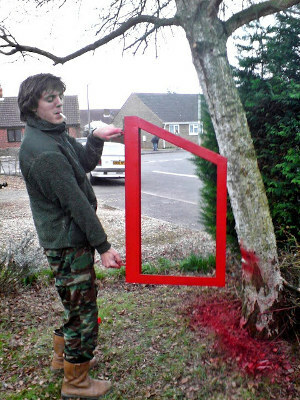 Long live the Red Shed!